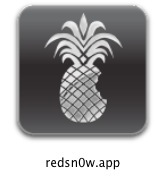 The recently released iOS 4.3.4 update has been jailbroken by a new version of redsn0w. Most iOS 4.3.4 devices are supported including the iPhone 4 GSM & CDMA, iPod touch 3rd and 4th gen, and iPad 1. For now, iPad 2 owners must stay on iOS 4.3.3 and continue to use JailbreakMe 3 as it is the only option for that hardware. This is a somewhat typical Redsn0w jailbreak, with the main limitation being it is tethered only. Be sure you understand completely what a tethered jailbreak means and it’s limitations, but in short, anytime you reboot your iOS device it will have to be connected to a computer and booted with the assistance of the Redsn0w application. The iPhone Dev Team suggests most users stay on iOS 4.3.3 so that they can continue with an untethered jailbreak. Remember, the only change in iOS 4.3.4 was the fix for the PDF hole that was utilized by jailbreakme 3, but that hole can be patched independently through Cydia or by upgrading iOS itself. Other than the tether, the process of using this version of redsn0w remains the same as the prior version. If you need assistance, you can follow a walkthrough for 4.3.3.
iOS 4.3.4 kills the untether completely! If you don’t want a tether you need to stay far away! to 4.3.4 by mistake. Thetered I justified and no problem however after the jailbreak with 0.9.6rc12 had a lot of problems such as Phone function didnt work (make calls, receive calls) , Cydia didnt work properly, Installious didnt work properly…therefore I recommend for the guys on 4.3.4 not to jailbreak and wait till unthetered one is available or simple DO NOT UPGRADE TO IOS 4.3.4!!!! if you wanna enjoy freedom. Then when will the 4.3.4 jailbreak come out? I downloaded both files from your links but I get the “IPSW not recognized” error message. i had the same problem, until i realized i was using redsnow 0.9.6 to jailbreak firmware 4.3.5 when its really the 0.9.8, also make sure u downloaded ipsw firmware 4.3.3 if your jailbreaking 4.3.5, its weird but for some reason worked. I have a question, because my iphone 3GS WILL NOT jailbreak with redsn0w. I have a mac. I think i have tried every version of redsn0w. The closest i have gotten to it working is i get past DFU mode, and redsn0w is doing the jailbreak. I use the 4.3.4 firmware just like it tells me. (Ive tried muiple firmware downloads) Then it says waiting to reboot and my phone either reboots without cydia or goes to a white screen. Either way it never says, “Done!” it always says, “There has been a problem” or something like that. I’ve been working on this ALL DAY yesterday and today to no avail. Someone please help me. PLEASE. I downloaded both files from your links but I get the “IPSW not recognized” error message????????????????????? What?s Happening i’m new to this, I stumbled upon this I’ve found It absolutely useful and it has helped me out loads. I hope to contribute & assist different users like its helped me. Great job.